Bratton returns to lead the NYPD. 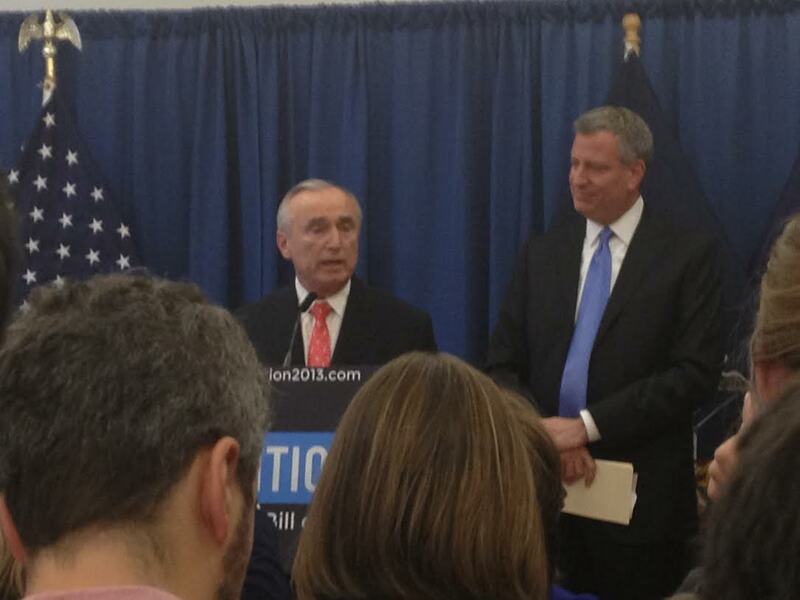 Mayor-elect Bill De Blasio appointed William Bratton as New York City's next top cop on Thursday. "I am choosing the best police leader in the United States of America. It's just that simple," said de Blasio. Bratton served as New York City's Police Commissioner in the 1990's. He also worked as Boston's Police Commissioner and as the Chief of Police for the Los Angeles Police Department. Bratton made 3 promises about his return to New York City - to maintain low crime rates, protect against terrorism, and build community between the NYPD and the public. When it comes to Stop and Frisk, de Blasio said Bratton is the right man to reform the controversial policy. "Bill Bratton knows that when it comes to stop and frisk, it has to be used with respect and it has to be used properly. He says Stop and Frisk is like chemotherapy - used in the right dose, it can save lives. Used in the wrong dose, it can create its own danger and problems. It can backfire,” de Blasio said. In a statement, the New York Civil Liberties Union said it's looking forward to working with Bratton to end racial profiling and ensure that Stop and Frisk is never abused.